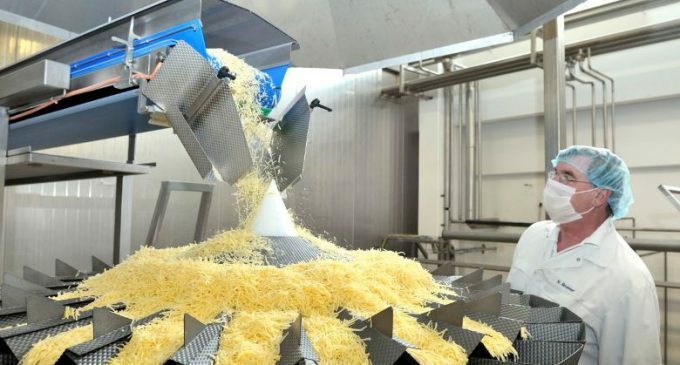 The DMK Group, the biggest German dairy co-operative, and one of the biggest suppliers to the German food retail industry, is continuing to build for the future. The dairy company’s realignment towards being a clear customer and consumer-based food producer, which was started in the summer of 2017, is reflected in the stable figures for the past fiscal year. Based on the preliminary figures, total revenue in 2018 of €5.6 billion remained at almost the same level as the previous year (€5.8 billion) and earnings slightly improved to €30.6 million from €29.6 million in 2017. 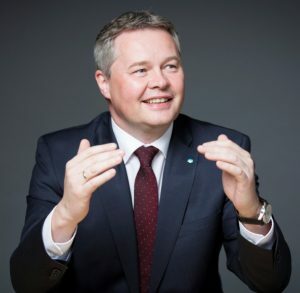 Ingo Müller, chief executive of the DMK Group. Looking at the six business fields, Müller is already looking at completed construction sites, but also more areas of activity. Two strong business units, Private Label and Brand, focused on ‘added value’ last year and successfully contributed to earnings accordingly. The business unit of Ice Cream, which was loss-making in 2017, is back on track and should be back in the black in 2019, according to DMK. At the start of the year, after a three-year construction period, the business unit of Baby Food successfully commenced activities at the new location in Strückhausen (Lower Saxony) and the supplementary food brand Alete was acquired at the end of March; all start-up measures should be completed in the Baby unit by the end of the year. The B2B business unit of Industry faced the big challenge of market volatility in the area of whey and powder in 2018. The International business area focused increasingly on key regions, which should be a key activity in 2019 as well.